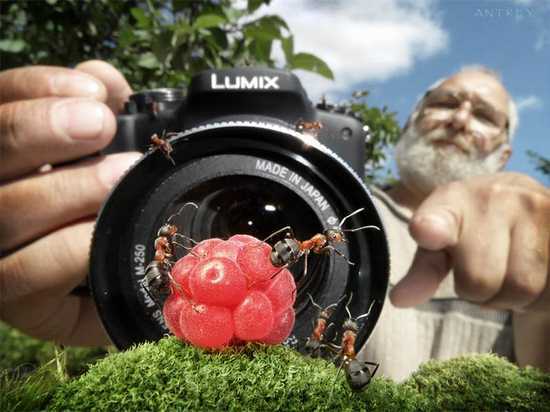 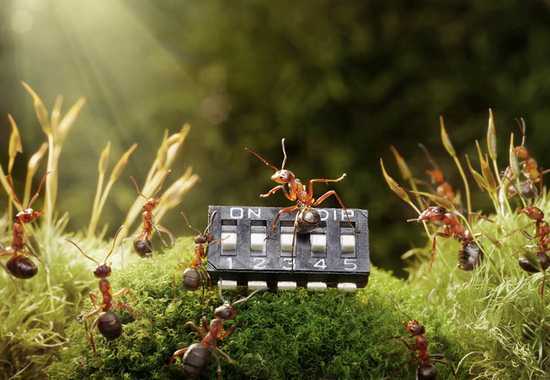 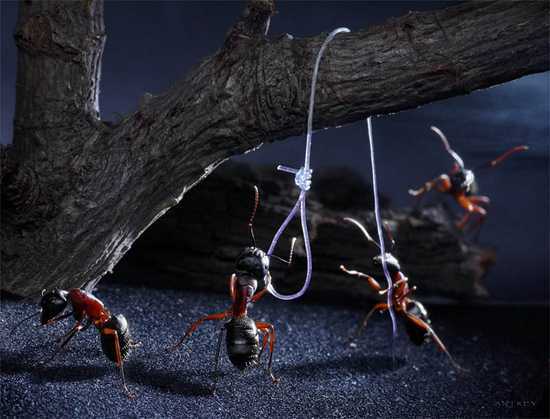 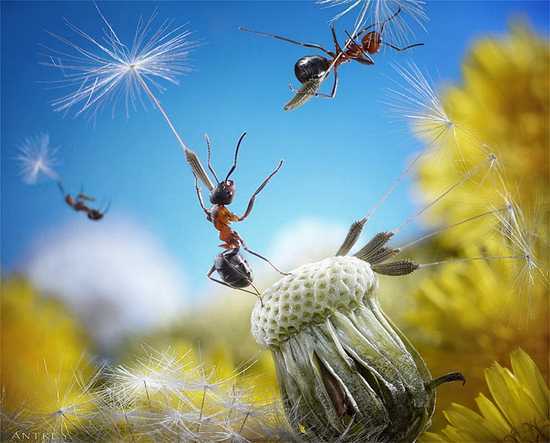 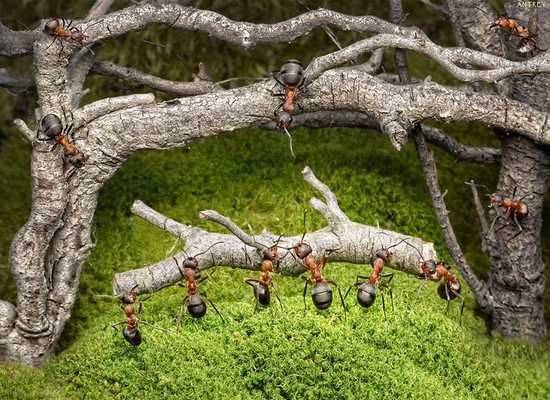 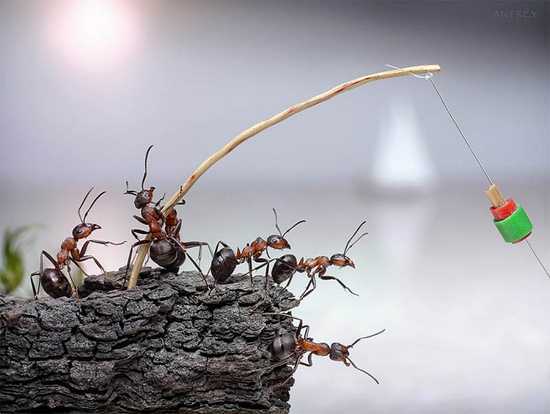 Russian photographer Andrey Pavlov has created an incredible series of 80+ photos where real life ants are shot in fantasy landscapes he has created. 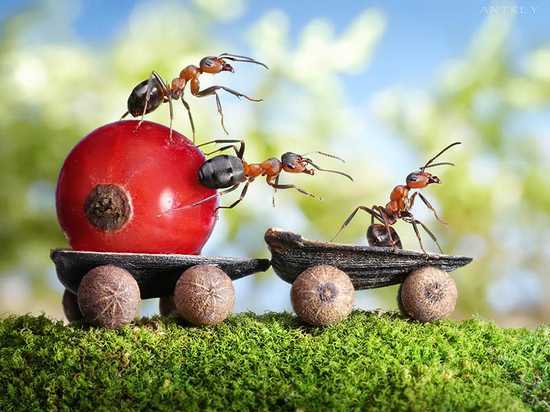 Photograph by Andrey Pavlov. 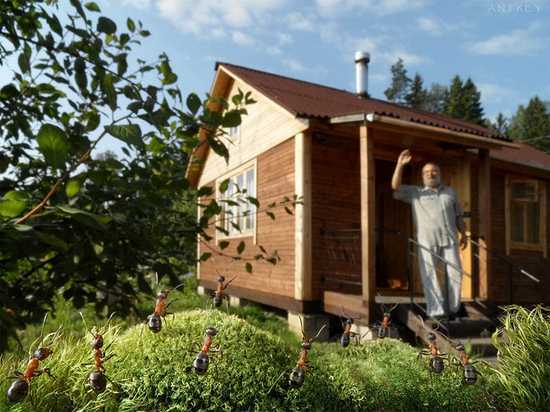 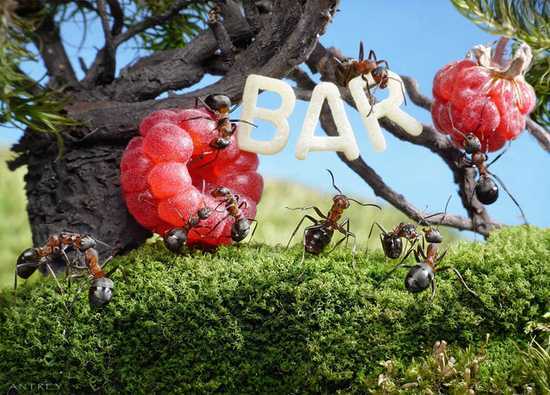 Every summer Andrey moves to his cottage in the countryside where he lives close to an anthill of red forest ants. 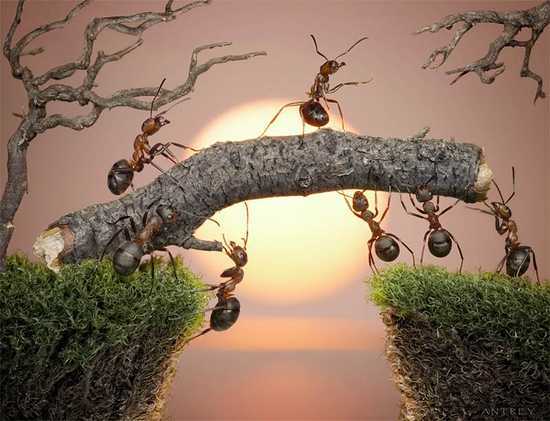 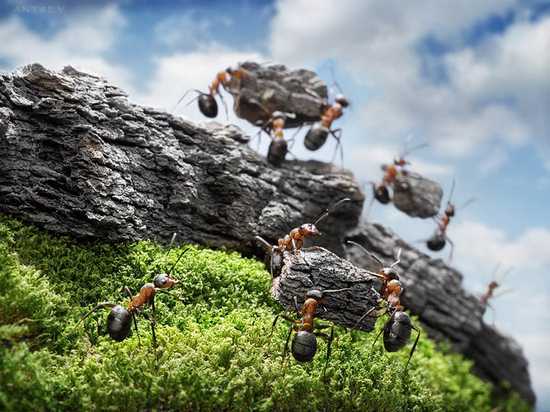 Fascinated by their colony and the way they work together so methodically and effectively, he noticed that they all follow a very specific path when they are working. 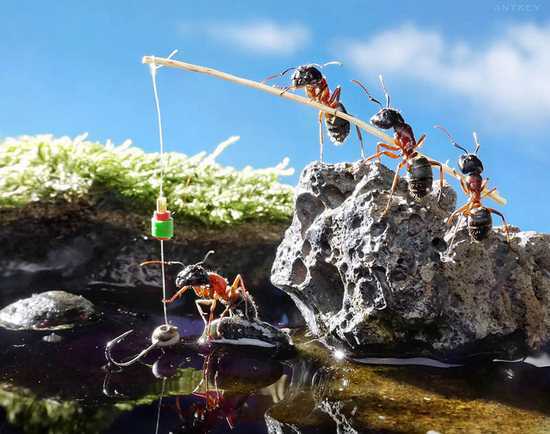 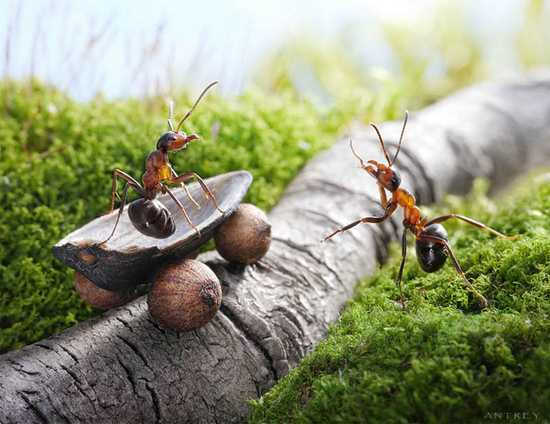 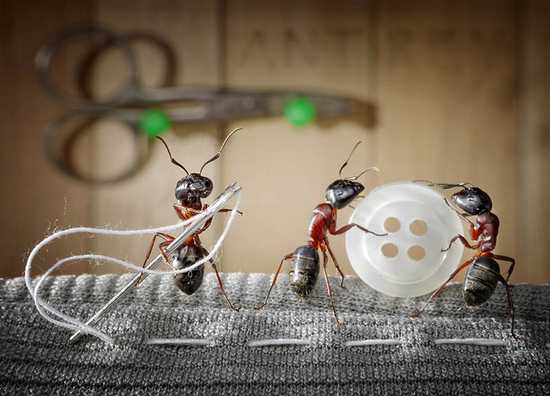 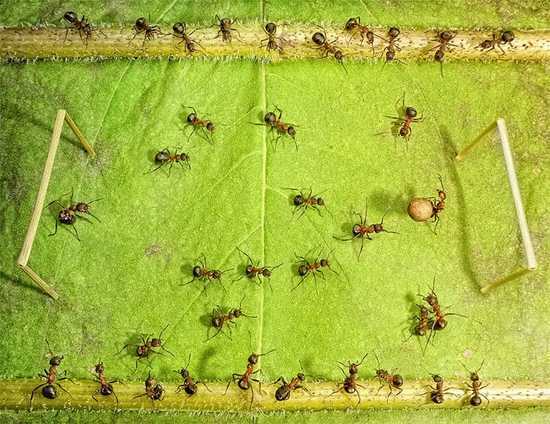 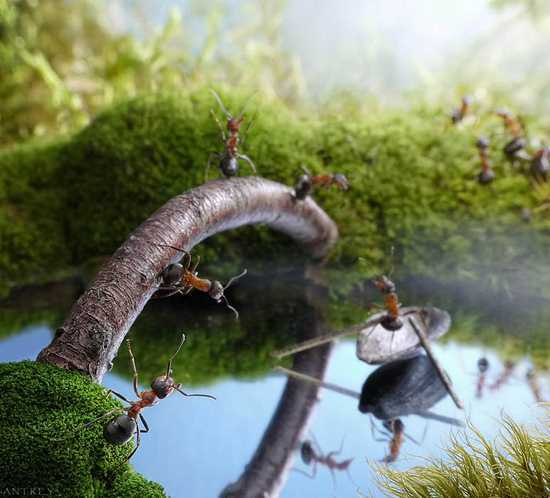 Using his previous experience making theatre and stage props, Andrey decided to create miniature fantasy landscapes and place them on the worker ants’ trail to see how they would interact with his creations.